I am fascinated by Hair and Make-up Artistry, it is so creative and has the ability to completely transform the person you are working with. From my first days training onwards I have been completely hooked! Once completing my training at The London College of fashion I was extremely lucky to become Jemma Kidd’s Assistant. During this time I learnt so much about various kinds of makeup and we worked on some very exciting projects including a new makeup book (Jemma Kidd Make-up Secrets), QVC where I worked on the models for live television and a revamp of the Makeup Academy. 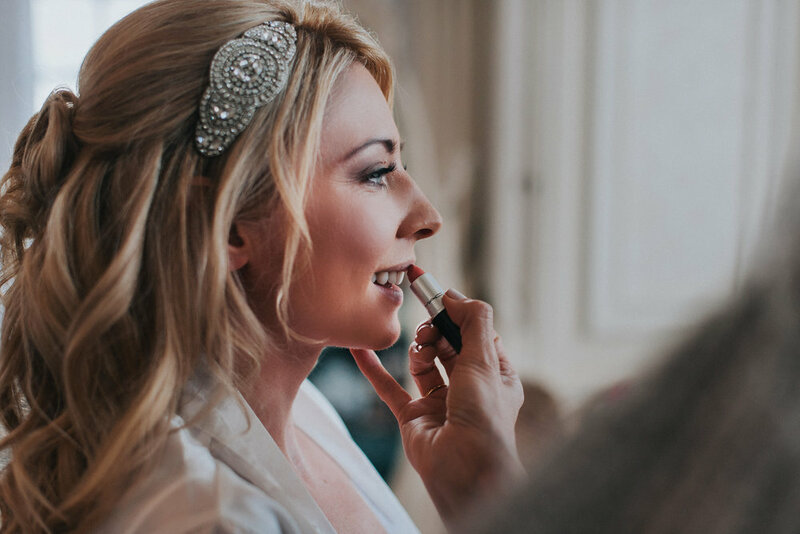 Since going freelance I have worked in various industries including fashion, tv and film however I discovered that my real passion was with Bridal Hair and Make-up. I get a real buzz out of making women look and feel beautiful and always feel very privileged when someone selects me to be a part of their special day. I love working with a bride from the initial consultation, through to creating a look that is unique and individual to her, and will make her feel confident and beautiful on one of the most important days of her life. I have completed numerous courses with The London College of Fashion, The Jemma Kidd Academy, MAC, The London Hair and Beauty Institute and Pam Wriggley. I always strive to further my education and attend regular masterclasses to keep up with the latest techniques and trends, I feel it is very important to keep evolving as an artist.